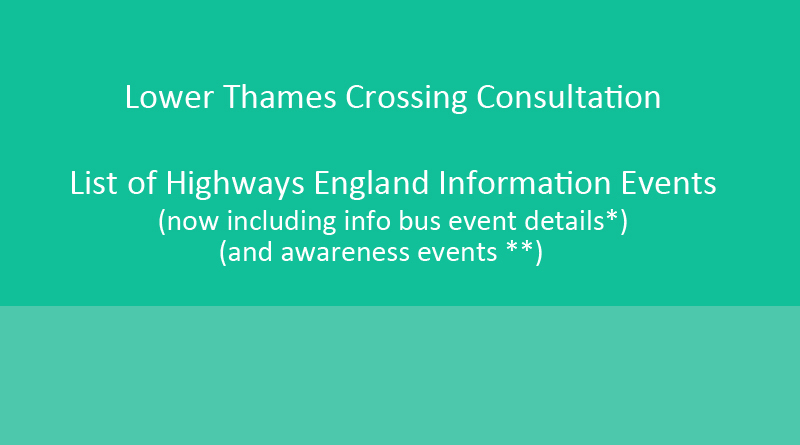 Highways England will be holding Public Information Events in Essex and Kent as part of their Statutory Consultation on the proposed Lower Thames Crossing, which runs from Weds 10th October through to Thurs 20th December 2018 inclusive. 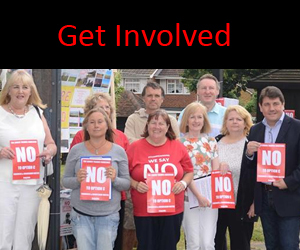 Events marked ** are Highways England awareness events (As per HE – These events are not listed on the HE website as they are an additional activity in support of the consultation and are aimed at raising awareness of the project in areas where people are less likely to know about it. They are not manned by staff who can answer specialised questions and there are a limited suite of materials available (leaflets and a small number of guides and response forms only) We only found out about these events when HE started Tweeting about them, and in our opinion they should be on the HE website. Event marked *** is the rescheduled Lakeside mobile info event. This event will now be held in the shopping centre, not on the info van, it will be a small info stand with the same info that would have been available on the info van, this is not a full info event. Since Highways England have hidden the info and deposit locations of where you can visit to view the consultation documents and get copies of leaflets, guide, and response forms on their site we have pulled it all together on our site for you www.thamescrossingactiongroup.com/highways-englands-consultation-deposit-and-information-locations/. 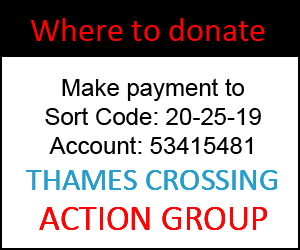 Please be aware there is a different between Deposit and Information location as outlined when you click through on the link, and NO completed response forms can be handed in at these locations.